Anyways, I prepared my dear beauties for the urban environment in Barcelona. 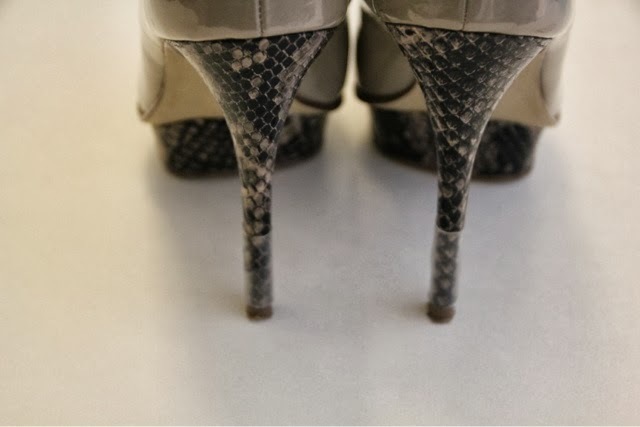 I used my favourite high heel protector from Plastic Fantastic or now called Redo Your Shoes. They have came up with even more girly products and they continue doing that for us😆you should definitely check Them out. 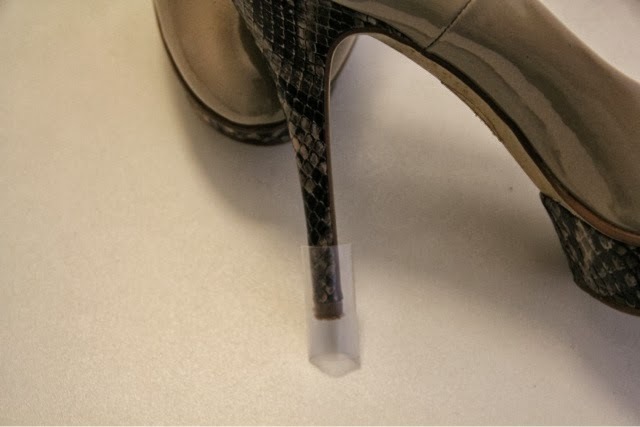 -a package of invisible heel protector-as you know the package contains two sizes of heel protectors- one for the very thin like the one I have on the picture and a pair for a bit thicker ones. ... So first thing you should do is to choose the size that fits best your heels. ...after that you should cut the protector until it fits-remember, you should not necessary use the whole protector! As you can see from the picture I did cut the part that is left, simply because you don't need it. 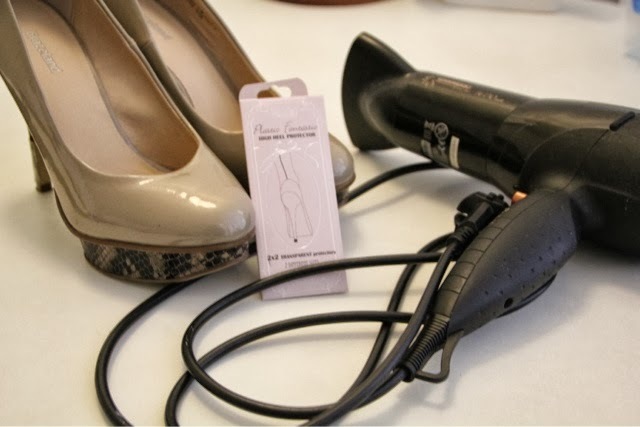 The next step that you need to go through is to turn on the hair dryer and point it towards the heel protector. 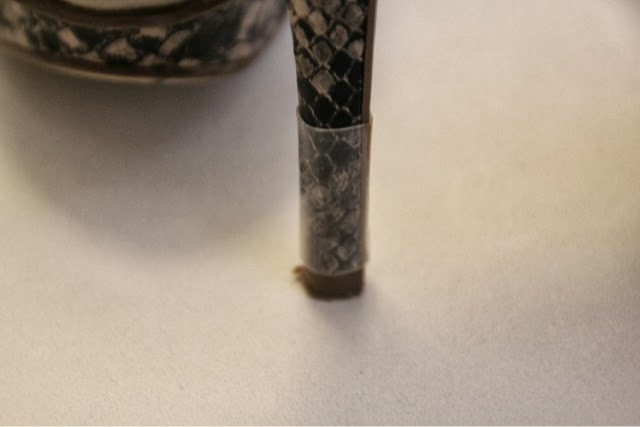 It will take around 1-2 minutes until the protector shrinks around the heel.